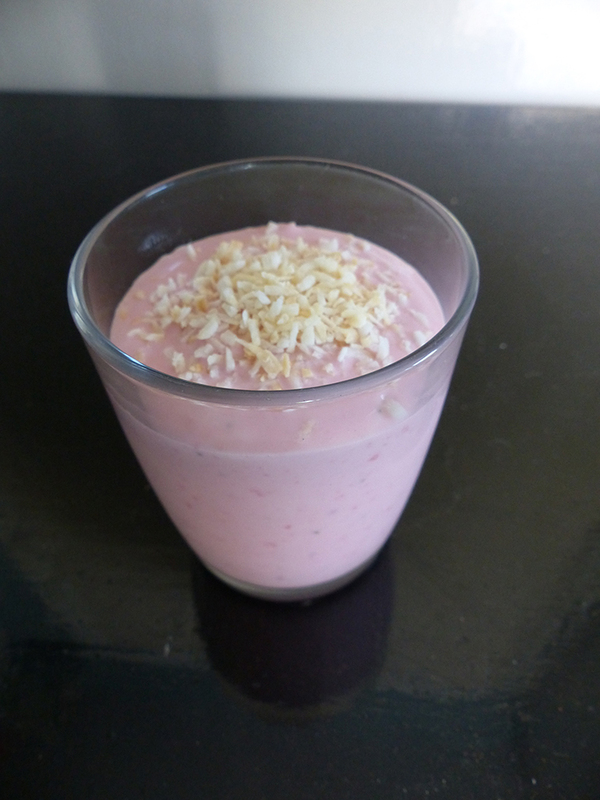 Ideal for a hot summer’s evening or as a breakfast smoothie! Roast the desiccated coconut in a dry frying pan. The rest is very simple: just chuck all the ingredients into a blender and blend until smooth. Top with the toasted coconut.